Arlene González-Sánchez discusses the opioid crisis and New York State's campaign to end addiction. Ten years ago, most people were probably unfamiliar with the word "opioid," and overdose deaths occurred only in movies and among hard-partying celebrities. But today, in the midst of a nationwide epidemic of addiction, those concepts resonate much closer to home. Here in New York State, like many other places, addiction has become a major health crisis. The number of opioid-related overdose deaths more than doubled between 2010 and 2015, and an estimated 1.4 million New Yorkers have a substance-use disorder. Faced with this epidemic, Governor Andrew Cuomo has positioned New York State as a national leader in the fight against opioid addiction. In the past few years, the New York State Office of Alcoholism and Substance Abuse Services has added nearly 2,300 opioid treatment program slots to our statewide system of care. We have vastly expanded recovery services, with youth clubhouses and recovery centers opening across the state. We have also developed intensive marketing campaigns, like Combat Addiction, to publicize the availability of these services. New York launched Combat Addiction in late 2016, including a website that links to services and resources. The campaign also encompasses digital, TV, and radio ads – in English and Spanish – to raise awareness of the crisis and treatment opportunities throughout the state. The campaign shows the power of a large, focused effort to take on a major public health issue. Our ads reached millions across New York State, meaning millions of people now know where to seek help for themselves or a loved one. A major focus is helping people work together to treat the disease of addiction. One of the best ways to do that is empowering people to take individual action, so we drive them to our website where they can find treatment providers, recovery supports, and prevention programs in their communities. Through these web resources, people can learn to recognize the signs of addiction and how to help someone in need. They can also learn where to go to seek help themselves. For people who are ready to stop using, an ad featuring someone in recovery and offering resources can be like a lifeline. It shows them they not alone and that recovery is possible. The message is that addiction is a treatable disease, and New York State is ready to help you recover. 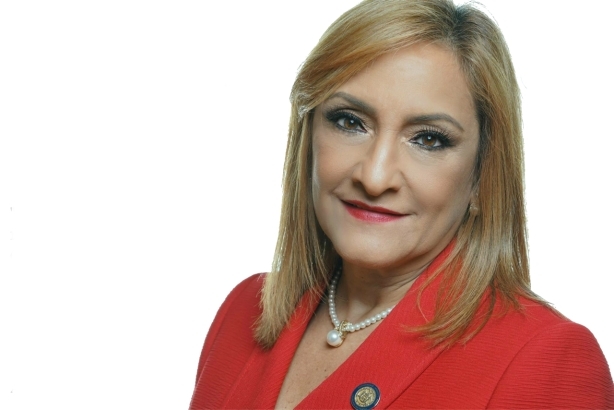 Arlene González-Sánchez is commissioner of the New York State Office of Alcoholism and Substance Abuse Services.